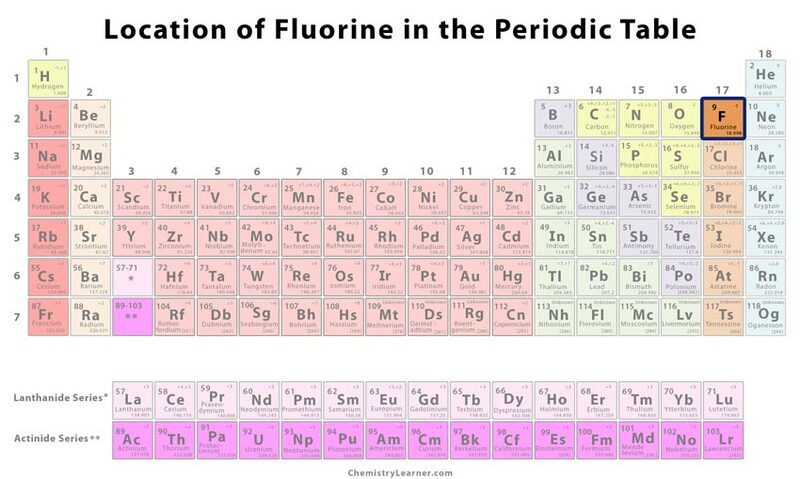 Denoted by the chemical symbol F, fluorine (pronounced as FLU-eh-reen) is a highly reactive nonmetal existing naturally in the state of gas. 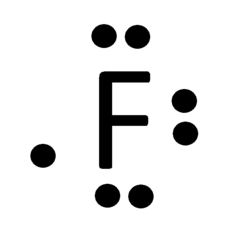 When it gains an electron from another atom in a reaction, it forms fluoride whose ion symbol is F– .It belongs to the family of halogens, reacting with almost all metals, having a lesser electron affinity than chlorine. 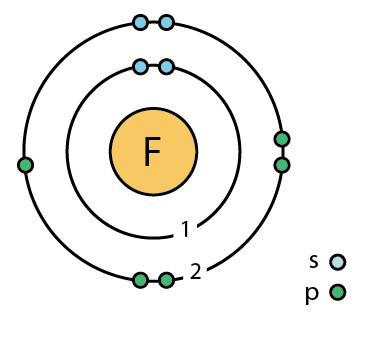 It exists as a diatomic molecule, represented by the molecular formula F2. It has 11 isotopes with mass numbers ranging from 15 to 25 of which only F-19 has a stable life. 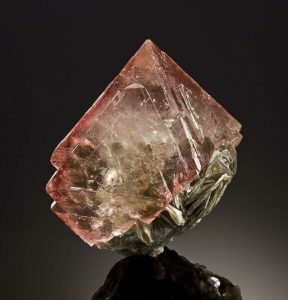 The thirteenth most abundant element in earth’s crust, it is associated with several mineral sources like fluorspar, cryolite, and fluorite present in the mining areas of Mexico, China, and Western Europe . Origin of its Name: Its name is derived from the Latin word ‘flure’ that means to flow. Many chemists had speculated the presence of an unknown element having properties similar to chlorine in metal fluorides. In fact, Humphry Davy, a Cornish chemist, while trying to isolate it from hydrochloric acid, fell ill. In 1869, the British chemist George Gore passed an electric current through liquid hydrogen fluoride (HF) and produced a highly reactive gas. Despite knowing it to be the suspected element, he could not prove it. It was only in 1886 when Moissan extracted it through electrolysis of potassium bifluoride dissolved in liquid HF and became the founder. It is useful in the preparation of uranium hexafluoride to separate uranium isotopes in nuclear power plants. The diatomic gas is added to poly(tetrafluoroethene) and high-temperature plastics required in the making of cable insulations, water bottles, plumber’s tape, frying pans, and water-proof fabric membranes for shoes and clothing. 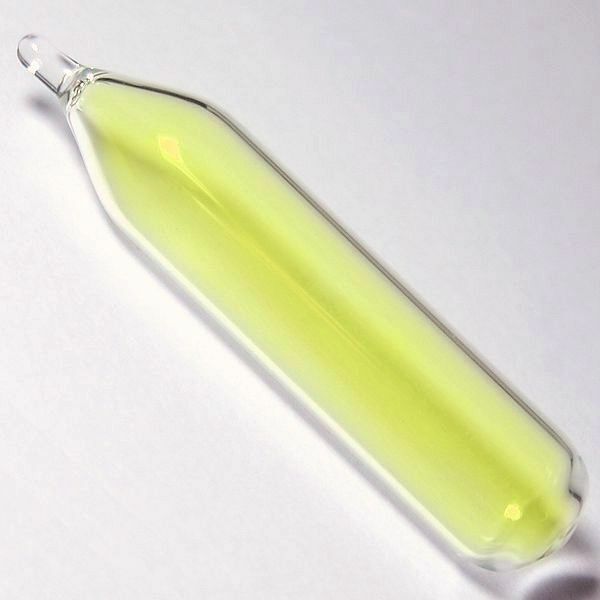 It condenses into a bright yellow liquid that is used as a cryogenic agent . 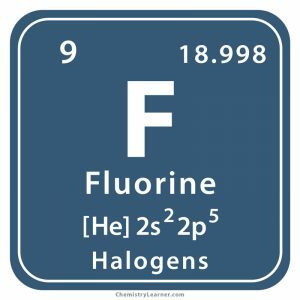 Fluorine is the most important ingredient in toothpastes and mouthwashes as it helps in removing dental plaques and preventing cavity formation. It is also added to public drinking water in many countries for the same reason . Rubbers with high fluorine content have a greater strength and resistance to wear and tear that make them effective as sealing components in engines of aircrafts, cars, and rockets . Polymers of F-containing monomers added to resin paints and coatings are applied on surfaces of steel plates, pots, kettles, and some heat-resistant machine parts . Lithium-fluorine batteries are useful for their higher durability . Fluorine doped tin oxide coated glass slides find application in the manufacture of optic fibers and electronics. Its use in absorption dating aids in detecting the amount of time an object has been lying underground such as ancient fossils . F-containing compounds are effective markers in magnetic resonance imaging applications to detect any abnormality in the body . Prolonged exposure to the skin and eyes can cause burns and irritation. When accidentally inhaled, it can affect the lungs. Repeated exposure may have severe health effects like diarrhea, constipation, nosebleeds, and kidney and liver damage . It is one of the few elements to form a layer on diamonds . 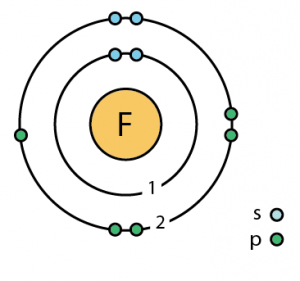 F is the most reactive and electronegative of all elements . 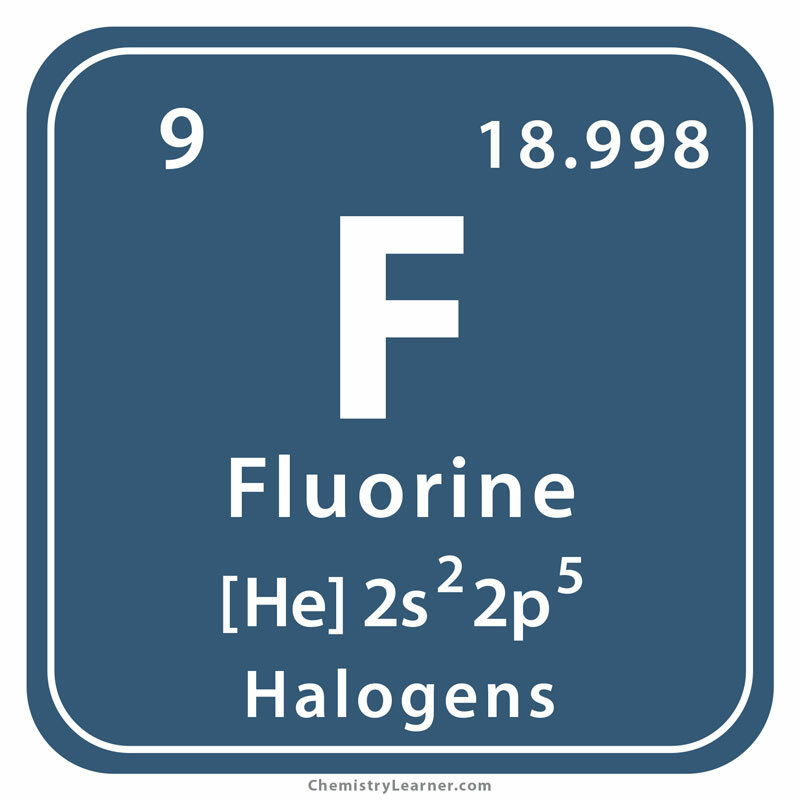 Pure fluorine is priced somewhere between $190 and $200 per 100 grams.